Plus One Gallery is pleased to present the exhibition In Focus featuring new work by Philip Harris, Simon Hennessey and Andrew Tift. 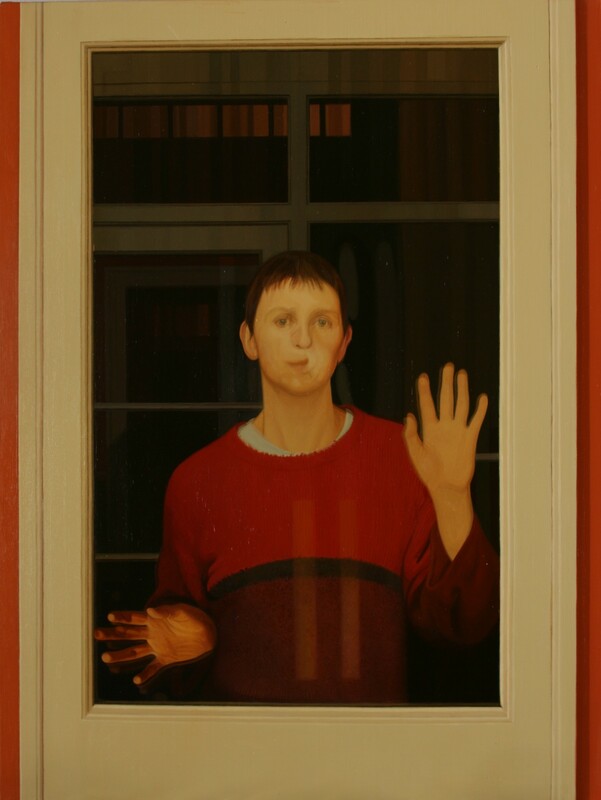 Both Harris and Tift have won the BP Portrait Award (1993 and 2006 respectively). Each artist although distinct in his subject, technique and approach to painting, find common ground in expressing a desire to move beyond the idea of the ‘photo’ often believed to be the root of hyperrealism and find the unique expression and focus of their subject and the untold story outside the frame. In Focus brings these three very different artists together by their ability to blur the line between photorealism and realism as a creative expression and technique. Philip Harris started exhibiting work in 1991, during a time when he saw expressive realist painting as a dying art form. 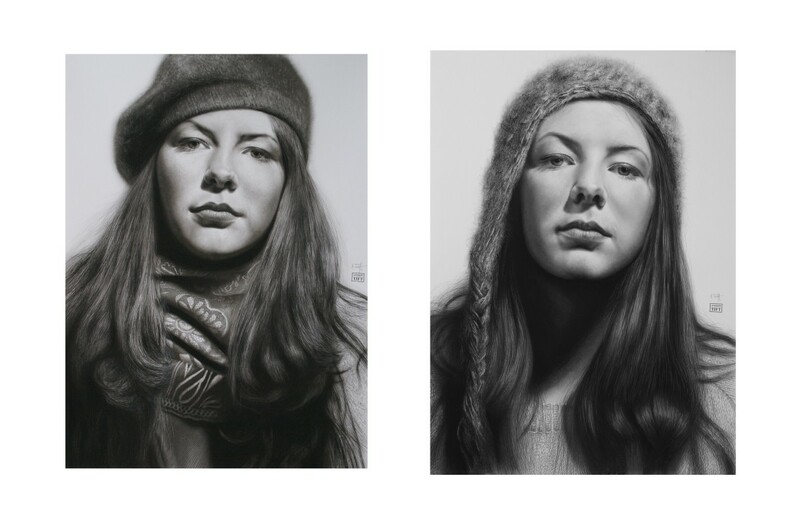 Although a hyperrealist artist, Harris does not consider his work to be photographic and considers the power of his paintings to be in the undercurrent of the image more so than the surface image. As he explains, ‘It is my intention that the viewer can relate to the work as though it were ‘real’, if the viewer trusts in the image they are more exposed to its influence. Often it is what is felt, rather than what it seems that is the dominate force’. Harris’s work does not obey the laws of photography as no photograph could capture the characters and the disconnect to their surrounding landscape. Sometimes the figures seem to be caught in motion between one emotion and another with a direct gaze, as if they were reacting to us trying to make out how our presence affects them. Andrew Tift, like Philip Harris also finds the most profound source of inspiration to be in people and the interaction between subject and viewer. In Tift’s approach to his work, Anne; the prime focus being portraiture, is strongly linked to the immortality a painting gives to the subject as well as the viewer, in time. As Tift believes, ‘There is a very strong link between portraiture and mortality and the strong need that we all have to capture and record some visual document of our family and friends is very powerful.’ Starting with the photographic process, Tift works from there to seek the interesting qualities that exist in all his sitters. 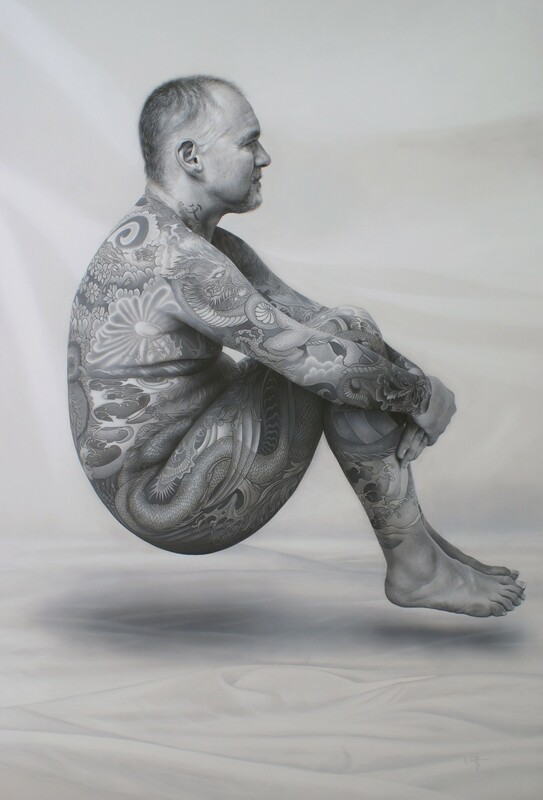 The Curious Case of the Levitating, Tattooed Man is a good example of the artist's desire to understand his sitter and at the same time, almost contradict the notion of first impressions by the juxtaposition of the Zen-like composition of his sitter to the intricate and elaborate body tattoos of his sitter. Simon Hennessey also continues the exploration of physiognomy – the outward appearance often revealing little of the inner character. Simon Hennessey continues to paint close-ups of his subjects, as often focusing on a single feature as on the full images. In past work, by letting the content of the paintings remain cropped and by choosing a close focal point, the paintings present a distorted sense of reality whilst remaining true to the photo reality of its origin. Hennessey takes his new work even further, both introducing a sort of censorship, never revealing the full content and context of the image, as likewise by digitally manipulating his source image as a means of control. ‘By de-saturating colour, cropping, neutralising backgrounds and using close focal points, I distort the way in which identity is represented. The end result creates a new reality, or a hyper reality’. Each work, as with Tift and Harris leaves us wondering what we are missing, if anything at all as the big picture often does not reveal anything more.